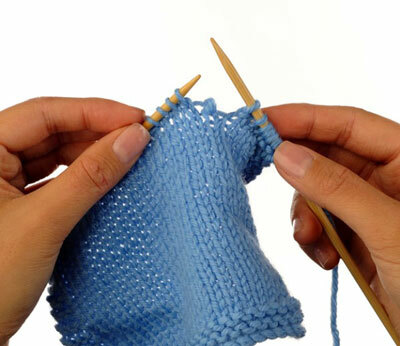 A dropped stitch is one that has come off the needle. Whether it is a dropped knit stitch or purl stitch, fear not. You can fix it. You might see it right away after you knit a round or you might miss it for a few rounds. Depending on the type of yarn you’re using, the dropped stitch might just sit without going anywhere or it might “run,” leaving a ladder behind. 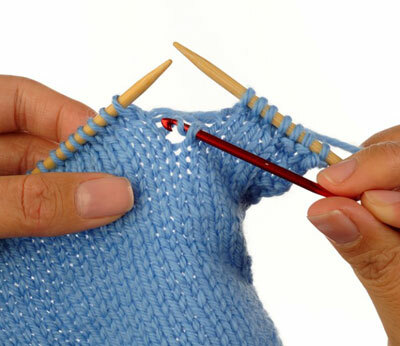 Luckily, you can easily pick up the stitch with a small crochet hook. You can pick up a stitch that drops off the needle but doesn’t run down by simply placing it back onto the left needle on the next round. Make sure that you place the stitch back on the needle in the correct orientation — front leg of the stitch should sit to the right of the back leg. 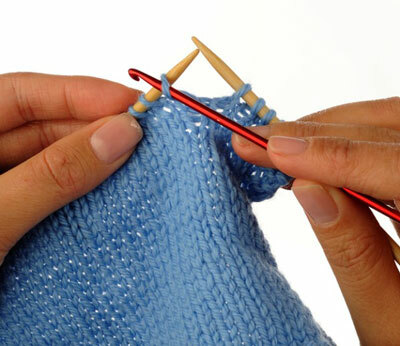 To pick up a stitch that drops several rows back, first identify the stitch. 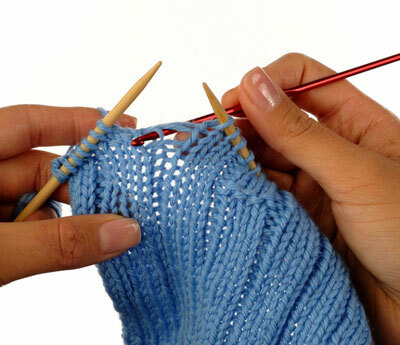 One strand of yarn runs between the adjoining stitches for each round that the stitch drops, which creates a ladder. Here, the stitch drops 5 rows. Knit to just before the dropped stitch. Repair the dropped stitch by pulling each of those strands through the dropped stitch with a small crochet hook and working your way back up to the needle. Insert the crochet hook into the dropped stitch from front to back. Catch the lowest strand of the ladder with the hook. Pull it through the stitch towards you. 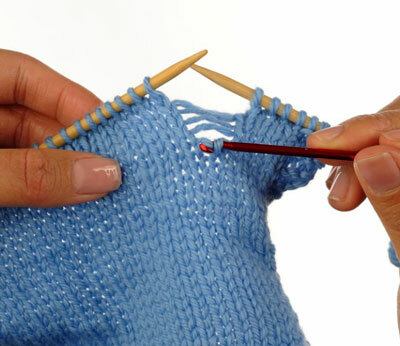 This technique moves the stitch up one round. 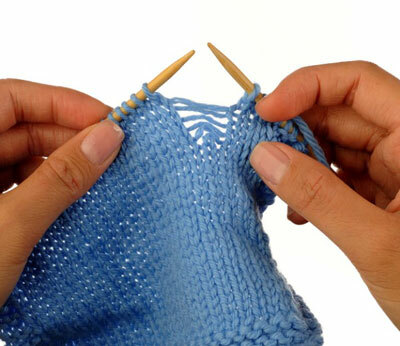 Remove the crochet hook from the stitch and re-insert it from front to back. Catch the next strand of the ladder and pull it through the loop towards you. Repeat until you pick up all the strands and the stitch is level with the current round. 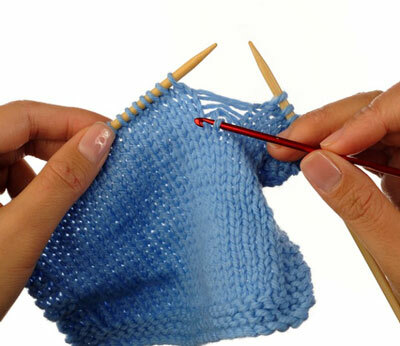 Place the stitch back onto the left needle and you’re ready to knit again. Be careful not to twist this stitch. Be careful not to twist this stitch. Because a purl stitch is the opposite of a knit stitch, you can pick up a purl-side ladder by working from the inside of the sock. Turn the work so that the inside of the sock faces you. Pick up the dropped stitch by inserting the crochet hook into the stitch from front to back and pulling each strand through the stitch one round at a time. 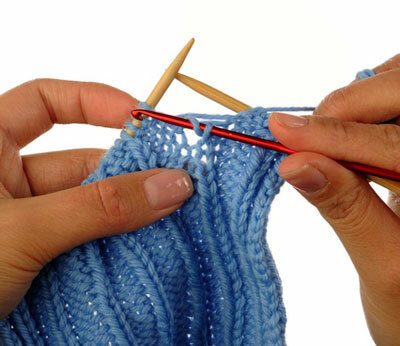 Arrange the dropped stitch so that the lowest strand of the ladder is in front of the dropped stitch. Insert the crochet hook into the dropped stitch from back to front, and use the hook to pull the strand through the loop from front to back. When you pick up the dropped stitch, the fabric might appear loose or elongated. Don’t worry, any looseness will disappear when you wash or block your socks. Remove the crochet hook from the dropped stitch and rearrange so that the next strand of the ladder is in front of the dropped stitch. Repeat steps 3 and 4 until you work the purl stitch back up to the current round and place it back on the left needle without twisting. Now you’re ready to work this stitch again. Sometimes a dropped stitch can work to your advantage. 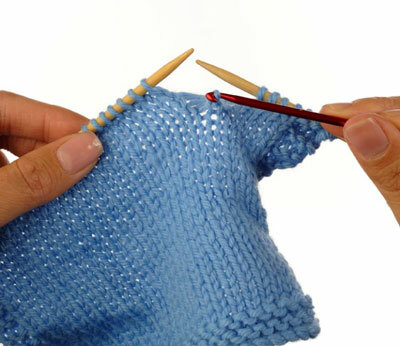 If you notice an error several rounds down from your needles, you don’t need to unknit or unravel back to that point. You can correct stitches by intentionally dropping a stitch, creating a ladder, and then picking up the stitch correctly.